The Giants are said to be eyeing pass rushers with their No. 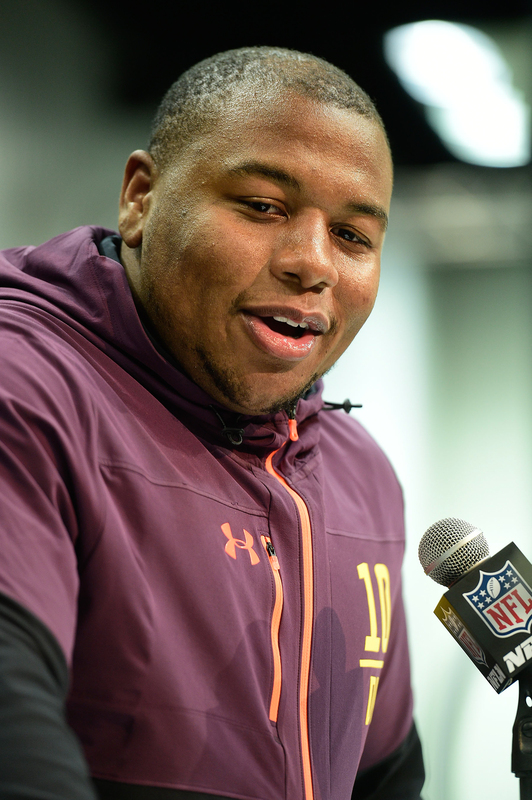 6 overall pick, and while Clemson defensive lineman Dexter Lawrence does not fit the bill per se, he would be a strong addition to the club’s front seven. Per Mike Garafolo of the NFL Network, the Giants hosted Lawrence on a pre-draft visit today (Twitter link). Lawrence is a first-round talent, and given the mass exodus of defensive playmakers that Big Blue has witnessed over the last several seasons, it would not be particularly surprising to see the club double dip on defense in the first round of the 2019 draft. In addition to the No. 6 pick, the Giants also hold the No. 17 selection, and Lawrence may still be on the board when they are on the clock with the latter choice. Lawrence finished his collegiate career with 10 sacks and 18 tackles for loss, and while he may not be a sack machine at the next level, he does offer the ability to apply at least some interior pressure. As Garafolo notes, Giants defensive coordinator James Bettcher was in attendance at Lawrence’s pro day.